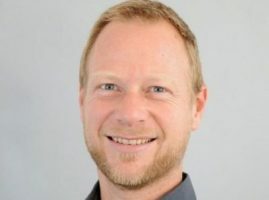 Oliver (born 1974 in Berlin) is business development manager in the logistics field at IVU Traffic Technologies AG in Berlin . He studied geography, business administration and cartography at the Free University of Berlin and specialized in digital cartography and geoinformatics. He has been employed at IVU since 2000 and has acquired extensive experience in both project management and divisional management roles. His work priorities are the deployment of GeoIT software solutions for geoinformatics and geomarketing in the private sector, in addition to their use by government authorities and in public administration.